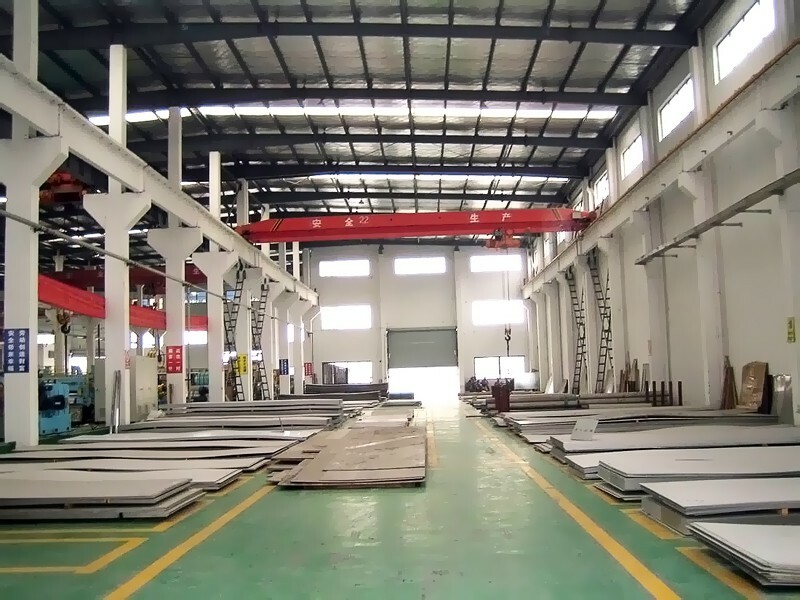 KMEC - one of the top steel silo manufacturer in China, supply a wide range of stainless steel silos. This style of silo adopts 4mm thick stainless steel, higher-grade coatings, screw seal and welding structure, which means less maintenance and long working life. They have the ability to eliminate cross contamination and easy to install. Additionally, our silos can be equipped complete weighing system, blower, electronic temperature, airiness, analog monitor and other non-standard products. 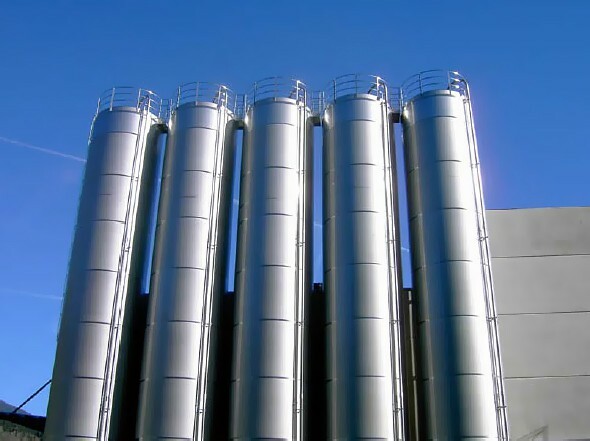 As a professional steel silo manufacturer, we own experienced steel silo designing, constructing and installing teams, who can ensure lightweight as well as sturdy design. Day in day out, KMEC has completed various projects around the word and there projects prove our knowledge in silo designing and constructing. Our stainless steel silos for sale are in varying diameters and capacities (10---15000tons flat bottom silo and 5—1000tons hopper bottom silo). 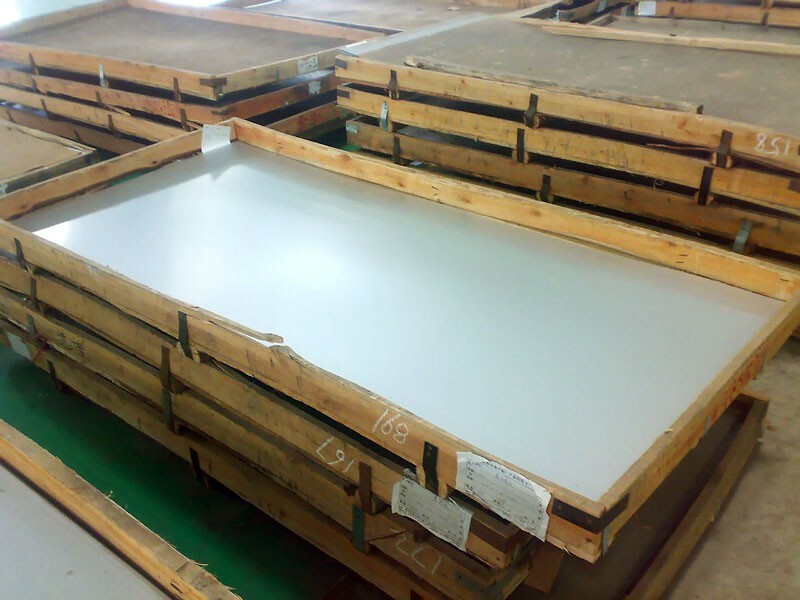 Besides stainless steel, we also offer various material options such as mild steel and other customized materials. 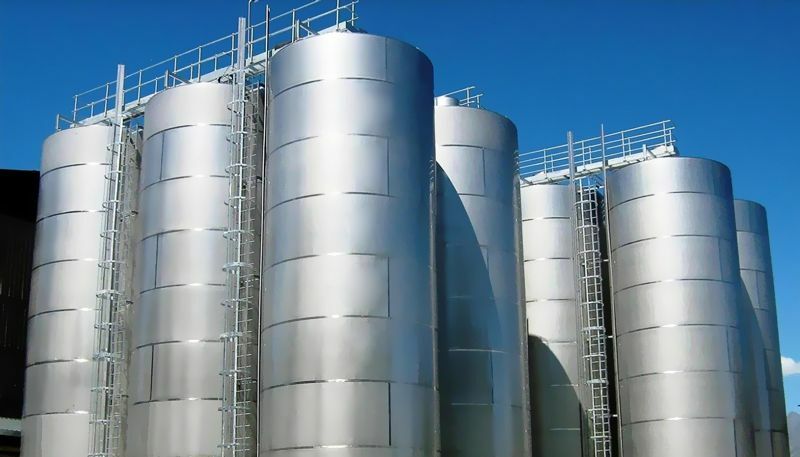 Stainless steel silos are widely in industrial areas especially Cement Industry and agricultural industry (store flour, grain, seeds, pellets and other powder, liquid and granular). Our clients can avail our stainless steel silos in different configurations, spread-leg silo and skirted silo for example.